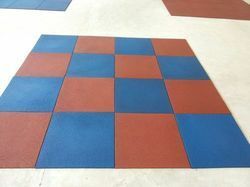 Manufacturer of a wide range of products which include epdm interlocking tiles, rubber square tiles, rubber interlocking tile, interlocking tiles, color rubber floor tile and gym floor tiles. 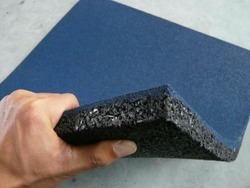 EPDM Interlocking Tiles (ethylene propylene diene terpolymer) is a newly made, synthetic product. We are manufacturer of Rubber Interlocking Tile. Color Available Red, Green, Yellow, Grey, Brown etc. 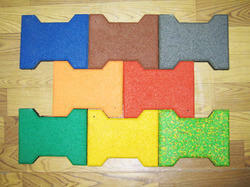 Interlocking Tiles which are made of recycled rubber and polyurethane binder tough, flexible and long-lasting. 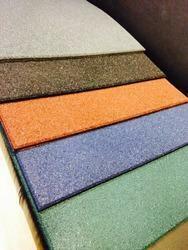 Asian Flooring India Private manufacture of Color Rubber Floor Tile which is made of recycled rubber and polyurethane binder tough, flexible and long-lasting. 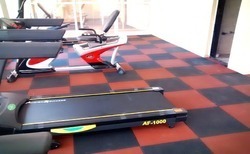 Asian Flooring India Private offers a range of Gym Floor Tiles which is highly admired by the consumers for the stiffness and perfect finishing. 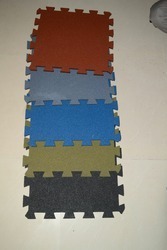 We are offeing Interlocking Rubber Floor Tiles.